Denpasar, the capital city of Bali, is a busy city and usually not visited by tourists though it has it's own charm and many different interesting things to see. Denpasar has a population of close to 1 million people. 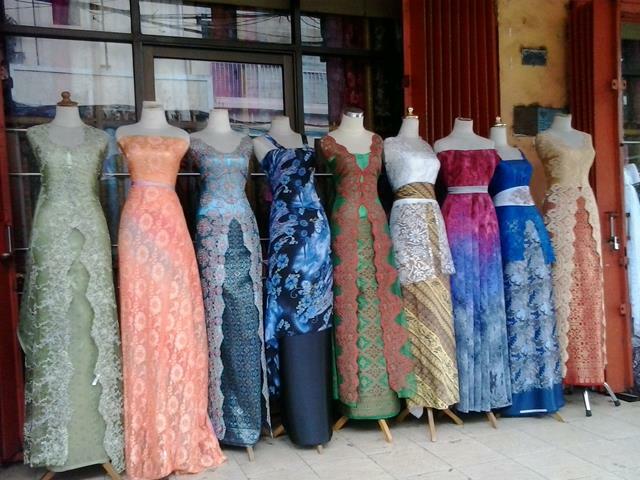 If you are looking for some bargains shopping then get to Denpasar. Things are much cheaper than you'll find in the tourist places like Kuta, Seminyak and Nusa Dua. There are 2 huge markets called Pasar Kumbasari and Pasar Badung which are right next to each other seperated by the Badung River. Rather than large open air markets these are multi story buildings with hundreds of stalls on each level. You'll see a great selection of spices, fresh food and vegetables as well as good priced sarongs, textiles, handicrafts and clothing. 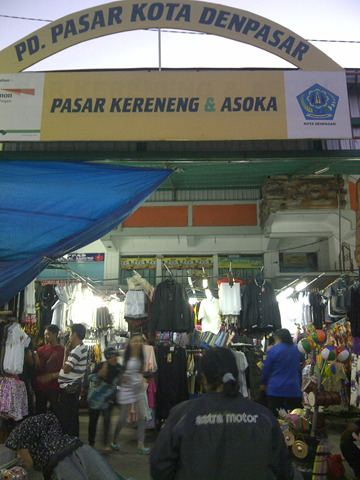 Right next to Pasar Badung is Jalan Sulawesi which is lined with shops selling textiles of all kinds. 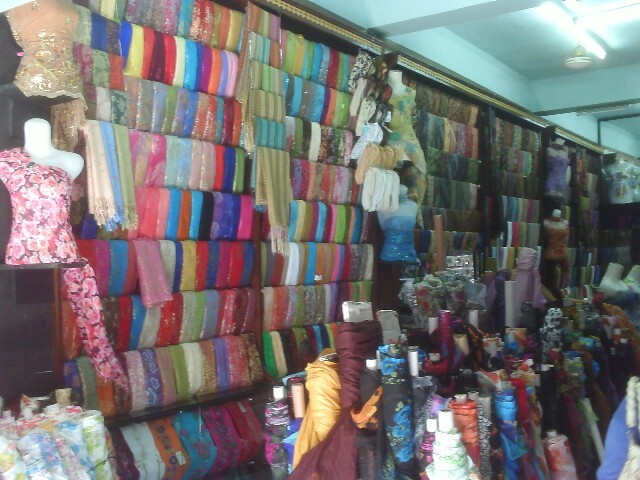 Generally with Indonesian and Indian designs you can find general fabrics. 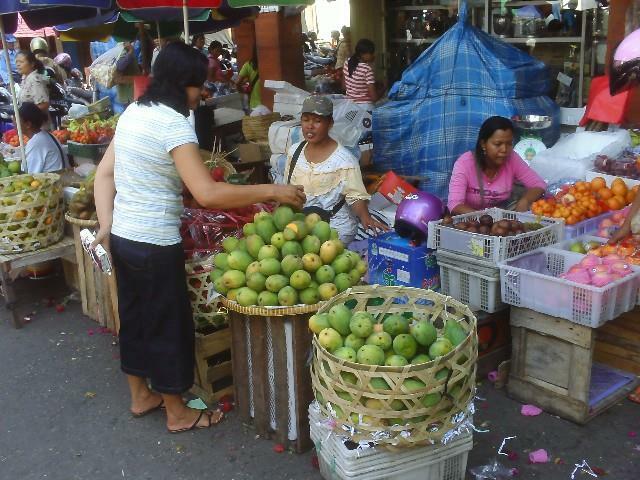 At the top end of Jalan Sulawesi next to the Pasar Badung is a small open market selling fruit and vegetables. As well as the main produce market, Pasar Badung there are also night markets (pasar malam) in Denpasar called Pasar Kereneng & Asoka. 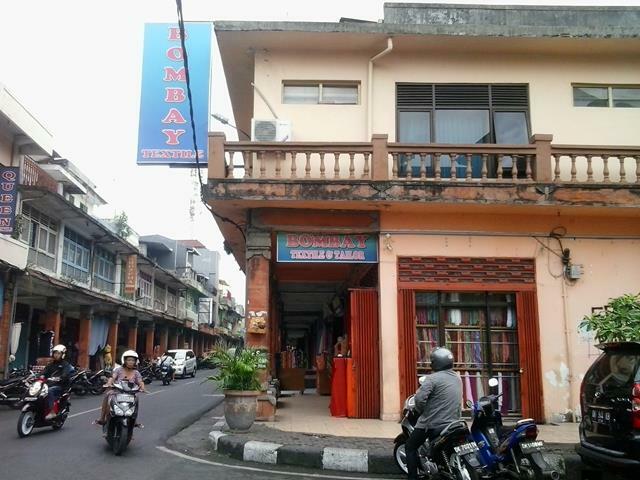 The night markets are located on Jalan Hayam Wuruk Denpasar are are open every evening and open late afternoon around 5pm. 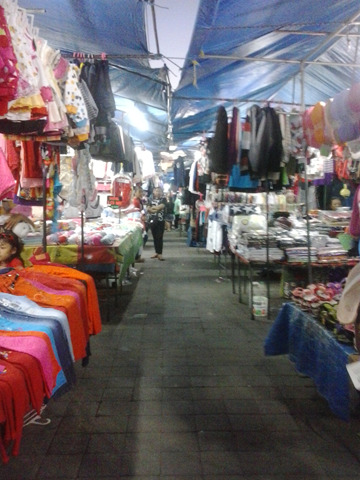 The Denpasar night markets have got a great range of cheap clothing and gifts and also a fantastic range of food stalls which are probably the highlight of the night markets. 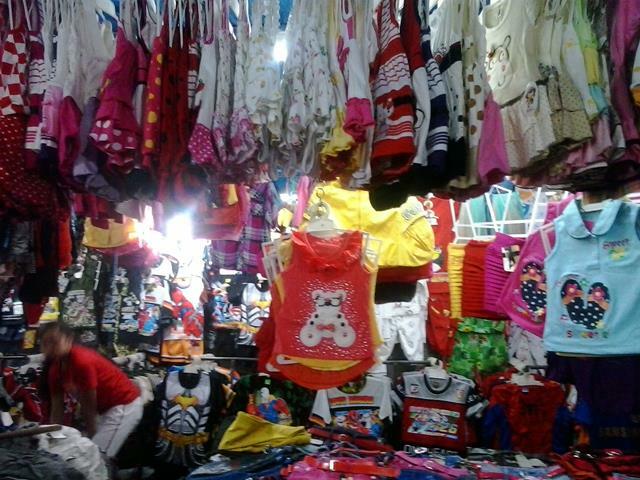 Some of the best and cheapest items to buy at the night markets are childrens clothing and shoes. 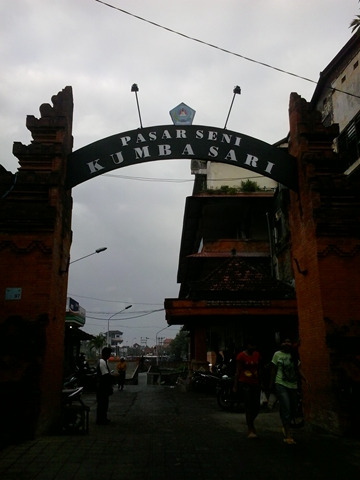 Some other interesting markets in Denpasar are the Kumba Sari Pasar Seni (art markets). 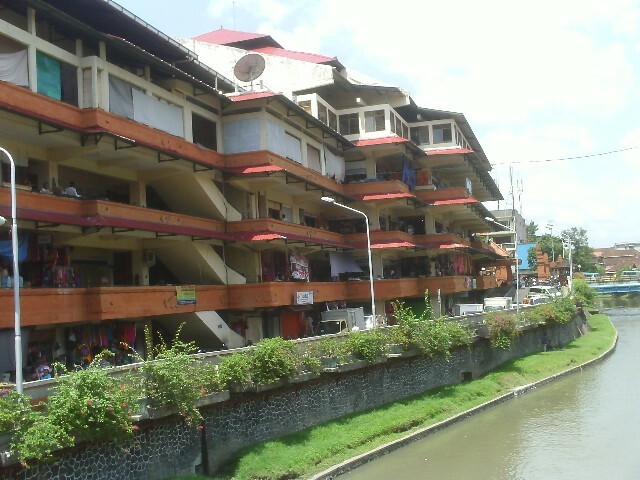 The Denpasar art markets located on Jalan Gajah Mada close to the Badung River. The Denpasar art markets have several different levels selling traditional Balinese and Javanese hand woven textiles including good quality batik textiles. You will also find a range of herbs and spices, foods and homeware products including kitchen items. 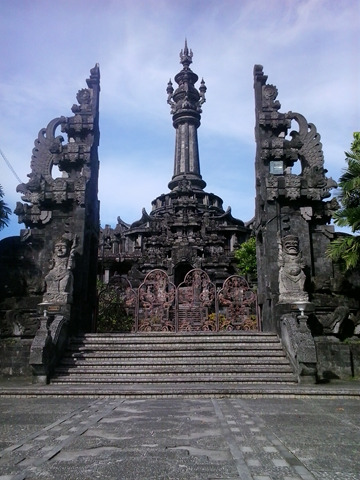 Throughout Denpasar there are a number of famous and interested statues and monuments. One of the more interesting is the Four Faces Statue called Catur Mukha located with the middle of the roundabout built in the centre of Denpasar across from the Mayor's office. The statue was built in 1973. 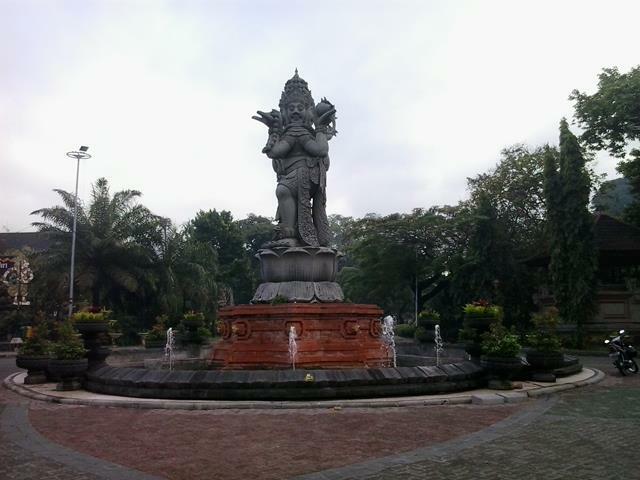 Catur Mukha is uniquely Balinese with the four faces, each facing down a different street, representing various Gods of the Balinese Hindu religion including Wisnu, Brahma, Iswara and Mahadewa. The Balinese People Struggle Monument (Monumen Perjuangan Ranyat Bali) Bajra Sandhi Monument is one of the most impressive monuments in all of Bali. 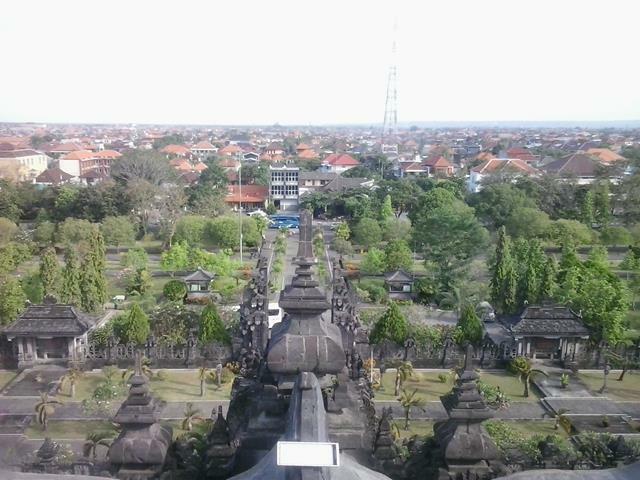 Built on a massive mound, from the top of the monument you get great views over all of Denpasar. The monument was built in 1987 and officially opened on 14th June 2003 by President Megawati Sukarno Putri. 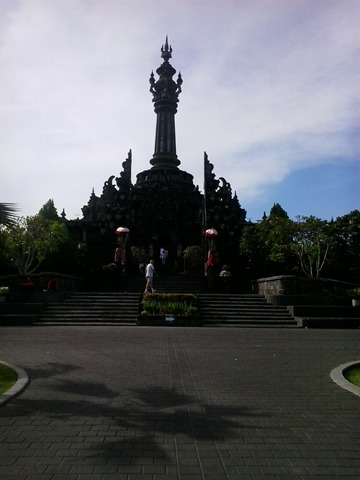 The Balinese People Struggle Monument is open every day except for official public holidays. Opening hours are Monday - Friday 8.30am - 5pm and Saturday and Sunday 9.30am - 5pm. Admission fee into the monument is 10,000Rp for adults and 5000Rp for children. 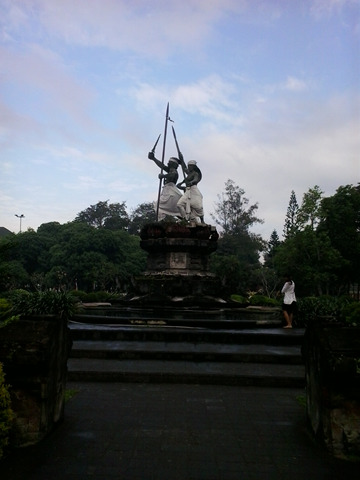 Puputan Square is located in Puputan Park in the centre of Denpasar with a significant monument. 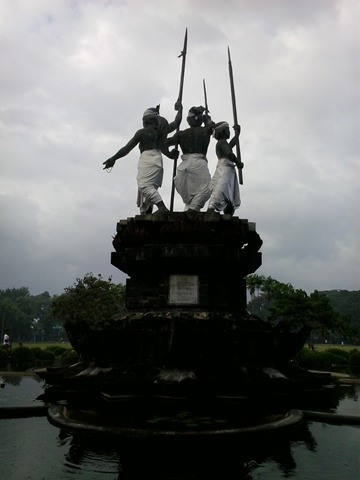 The Puputan Monument is a tribute to 'Puputan' which is Balinese for ritual suicide which occured in Bali in 1906 and 1908 when the Dutch occupied Indonesia. The Puputan Park is a massive area of grasslands, an oasis amongst the hustle and bustle of Denpasar. 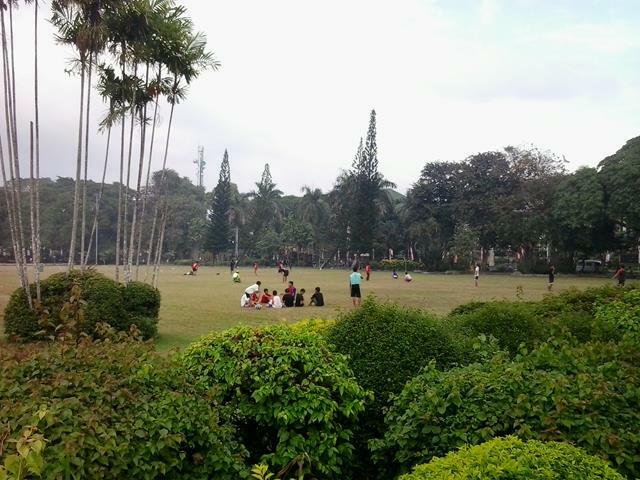 Puputan park is a great place to go for a picnic. There are also children playgrounds within the park. Right next door to the Pasar Kumbasari is the Hong Kong Restaurant Chinese and Seafood serving great Chinese food including Cantonese, Sichuan as well as some Vietnamese and Thai dishes. Located at Jl Gajah Mada 99. Ph: (0361) 434 845. The Bali Reptile Park has a good display of reptiles from all over Indonesia and the rest of world including monitor lizards, iguanas, turtles, snakes and a number of Komodo Dragon. Pop! Harris Hotel located at Jalan Teuku Umar No 74 Denpasar. This new concept hotel which opened in September 2010 caters for smart and eco-friendly travelers (attractive price, eco friendly building). With a unique rate for 1, 2 or 3 people, all rooms will include free Wifi Internet access, LCD TV, cable TV and complimentary 'nasi jinggo'. Room prices from 188,000Rp per night (US$18).